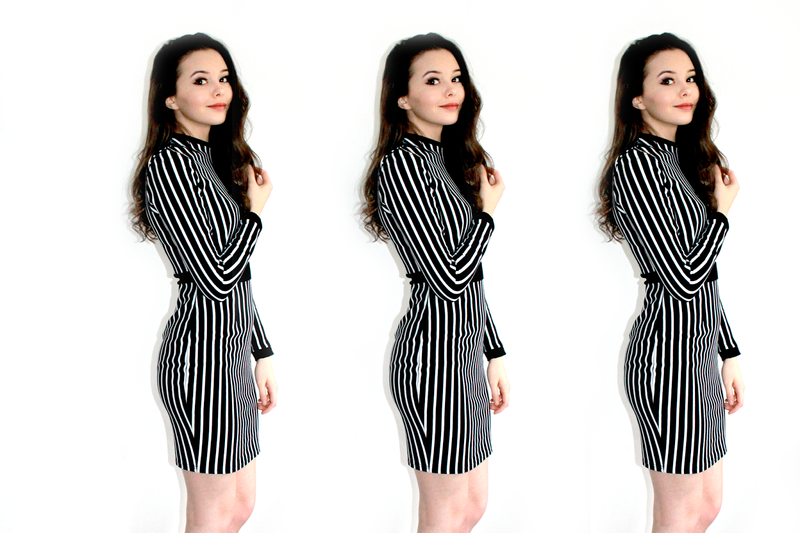 I absolutely love bodycon dresses, and this striped dress from Naanaa Clothing is my new favourite! I love the details in the shoulders as it adds something different to the average bodycon. This dress is actually a style steal from the gorgeous Cheryl Cole! This dress looks absolutely gorgeous on you. It really suits your shape. I hope that you'll have an amazing time celebrating your and your friends 18th birthday.